World Series of Fighting (WSOF) standout Ozzy Dugulubgov talks to MMAmania.com about the upcoming WSOF 33 “Gaethje vs. Dugulbgov” card this Friday (Oct. 7, 2016) taking place at Kansas City Municipal Auditorium and how he plans to hand champ Justin Gaethje his first-ever loss. World Series of Fighting (WSOF) 33: “Gaethje vs. Dugulubgov” goes down this Friday (Oct. 7, 2016) at Kansas City Municipal Auditorium in Kansas City, Mo. It’s a big card for the promotion with title defenses for both Justin Gaethje and David Branch at Lightweight and Light Heavyweight, respectively. It’s also the biggest fight of Ozzy Dugulubgov’s career. 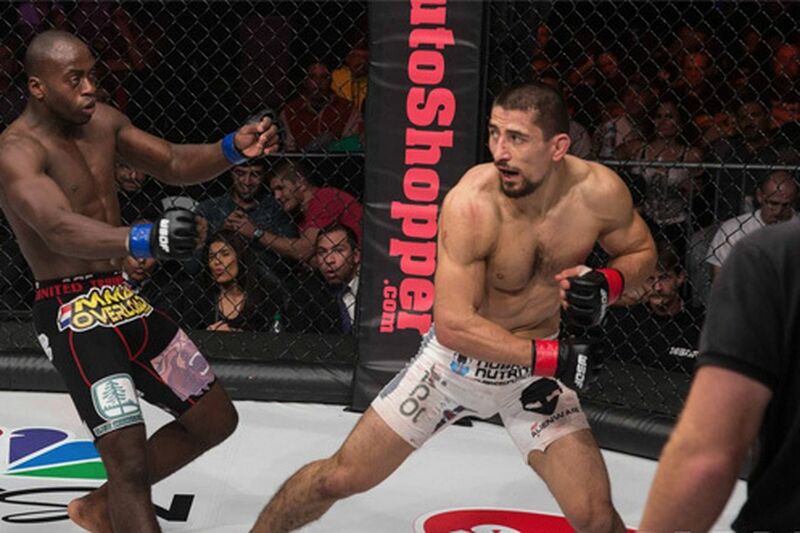 Currently riding a three-fight win streak, Dugulubgov had been quietly biding his time since winning at WSOF 26 in Dec. 2015, but his long wait is finally over. The 8-2 Jackson-Winkeljohn prospect has a big mountain to climb in Justin Gaethje. At 16-0 with four successful title defenses under his belt, “The Highlight” would like nothing more than to make Dugulubgov number five. MMAmania.com recently spoke to Dugulubgov about earning the opportunity to fight Gaethje and getting ready for his toughest opponent to date. Even in a large and legendary gym full of “tough guys” there’s still one person Dugulubgov can cite as a lot of fun to work with, though he doesn’t want to focus on one style of fighting when facing Gaethje.